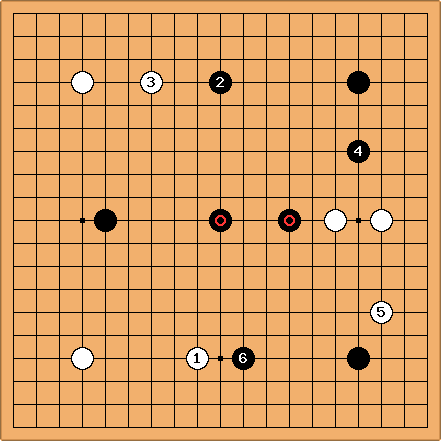 Flow of the stones is a metaphor for natural, harmonious development of play, by both players, that is suitable for the position. This example comes from the New Fuseki era, 1934. 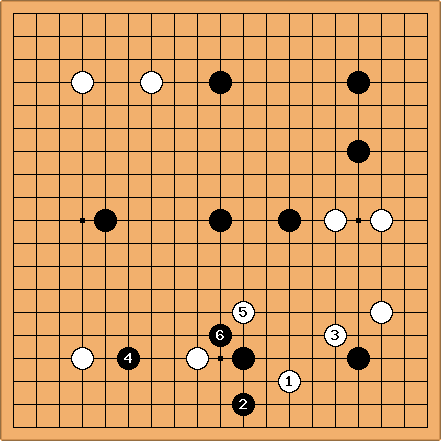 In Now I would play this way (Ima nara kou utsu), Go Seigen comments on this game. does not extend too far because of Black's center ( ). welcomes an invasion, also because of his center, which will provide support for an attack in that case. On p. 105 Go Seigen says that there is a natural flow of the stones from to .